Bellamkonda Sai Srinivas has proved his mettle with his debut flick Alludu Seenu, and now he has arrived to big-screens with a remake titled Speedunnodu. Will he prove that he is here to stay? 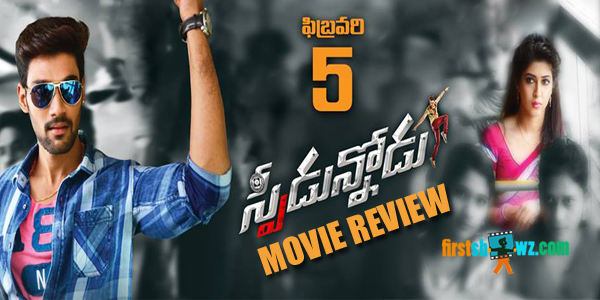 Read Speedunnodu Film Review. Director Bheemaneni Srinivasarao returns after Sudigaadu with Speedunnodu with Bellamkonda Sai Srinivas as lead in the official remake of Sundarapandian. Sonarika Bhadoria plays the female lead and Prakash Raj is seen in a key role. Ali, Kabir Duhan Singh, Srinivasa Reddy, Posani Krishna Murali are playing supporting roles while Tamanna will sizzle in a special song. Speedunnodu has story penned by SR Prabhakaran, Cinematography by Vijay Ulaganath and editing by Gowtham Raju. The film is made on Good Will Cinema banner. Check the space for Speedunnodu Movie Review below. Story is set in Rapthadu in Anathapur. Shobhan (Sai Srinivas) is the son of Veerabhadrappa (Prakash Raj) who spends away his life with friends. He goes to any extent for his friends, a batch of five. Sobhan’s friend Giri goes after Vasanthi (Sonarika) and the former tries to help him. But in the process Vasanthi loves Sobhan, who are children of rival groups from different villages. With this love story being revealed to Vasanthi’s family, her father Rama Chandrappa (Rao Ramesh) tries to marry her to Jagan (Kabir Singh Duhan). How will Sobhan resolve all these issues and what happens to the love story is the rest of Speedunnodu. Bellamkonda Sai Srinivas is impressive in his dances and fights, and he even improves his diction compared to his earlier film. But he needs to work on his expressions more. He however acted well in the climax action episodes. Sonarika is glamorous and did her role capably. Tamanna is superb in her special song Bachelor Babu with stunning dance moves. Tammana's special song gives relief to the audience with her superb moves. Prakash Raj is wasted in a poor role, while Rao Ramesh gets a regular character. Srinivas Reddy, Posani and Prudhvi were convincing while Kabir Singh Duhan attracts with his act. Krishna Chaitanya performed well and others like Pavitra, Jhansi, Rama Prabhas, Vidyullekha filled the screens. Sri Vasanth’s musical scores are pretty ordinary, while the background score goes with the theme. Cinematography is on top-botch and every frame looked beautiful. Gautham Raju’s editing could have been better. At least 15 minutes could be trimmed down. Dialogues are decent. Bheemaneni’s direction is okay while the screenplay could have been better. Production Values Goodwill Cinema are grand. Bheemaneni Srinivas is known for his successful remakes, and when he set his eyes on Sundarapandian, the expectations are huge. Speedunnodu is based on concept of friendship and love; however it failed to create the original version magic on screens. The first half is packed with few comedy scenes and punch dialogues between the friend’s gangs, while the small yet predictable twists are unraveled as the story proceeds. Despite the routine and predictable story, the original version had good screenplay and emotional content that connected with the audiences. This is where Speedunnodu failed. Director even failed to give justification to the friend’s characterizations in the end. The comedy fights and songs (Tamanna’s item number) will appeal to the masses. Had he handled the emotional drama of friendship and the bond well, Speedunnodu could have been a feel good entertainer. Speedunnodu- Lacked the needed speed!